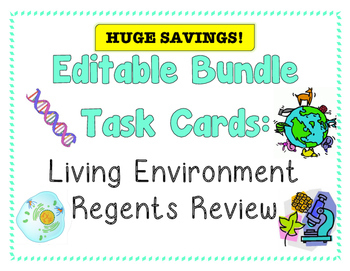 This *EDITABLE* Living Environment Regents Review Task Card Bundle has 243 total questions for a comprehensive review of the NYS Living Environment curriculum! 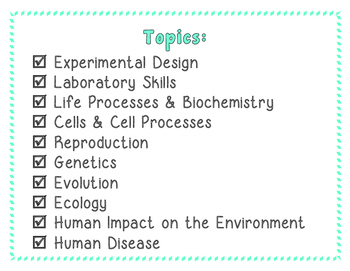 These task cards are GREAT for individual, small group, or full class review for Living Environment Regents students. These have been so helpful for my special education and ELL students! 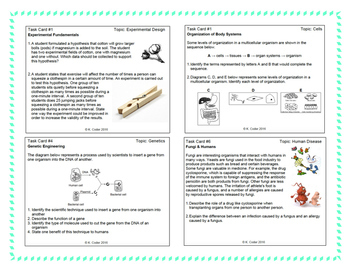 My task cards require students to explain processes and interpret pictures, graphs & diagrams. 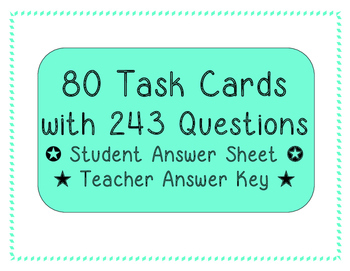 There are TEN sets of task cards in this bundle. Each set takes between 40-60 minutes for students to complete and for you to review with them (depending upon the level of the students in your class). - Answer Keys for teachers.